Individually designed bedrooms include Freeview TV, clock-radio, hospitality trays, shaver socket, bedside lamps. Located in Sleights, which lies at the foot of the North York Moors in the Esk Valley, Ryedale House is superbly located for enthusiasts of both coast and countryside. The charismatic coastal town of Whitby is just a few miles away on the beautiful Heritage Coast, and the stunning North York Moors National Park surrounds the area. Ryedale House has a pretty dining room with separate tables and panoramic views. The guest sitting room has Freeview TV, maps & guide books. 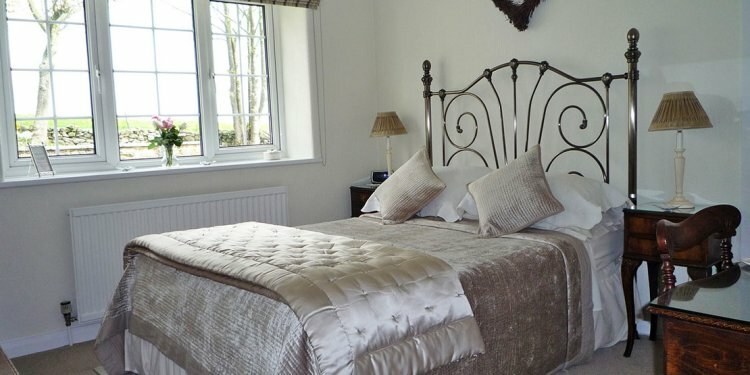 Guest bedrooms are on the first floor and are individually styled to a high standard. The house is exclusively for non-smokers and has a sun terrace, landscaped gardens and garden seating areas. There's an extensive breakfast menu including vegetarian options and home made marmalades & jams.